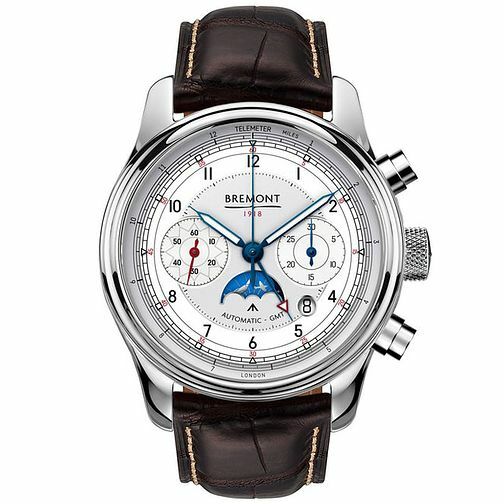 Bremont presents a landmark, limited edition timepiece that has been crafted to celebrate the Royal Air Force's 100th year. Styled with vintage British design sensibility, the three subdials include one minute and thirty second markers with a moonphase above the 6 o clock mark. A special feature of this watch includes a telemeter, by using the telemeter scale to measure how far an object is in miles. The watch is finished with a premium leather strap and exquisite stitching detail.